As some of you may have seen from my last post and Instagram, I recently got a hair cut! Thanks to my stylist, Tiffany Denae, I went back to not only a tapered cut, but black hair. It was fun rocking colored hair for almost a year and watching my hair get longer, but I began to long for my tapered cut again. Since we already know long hair is not my personal natural hair goal, I decided to go ahead and have my hair chopped. 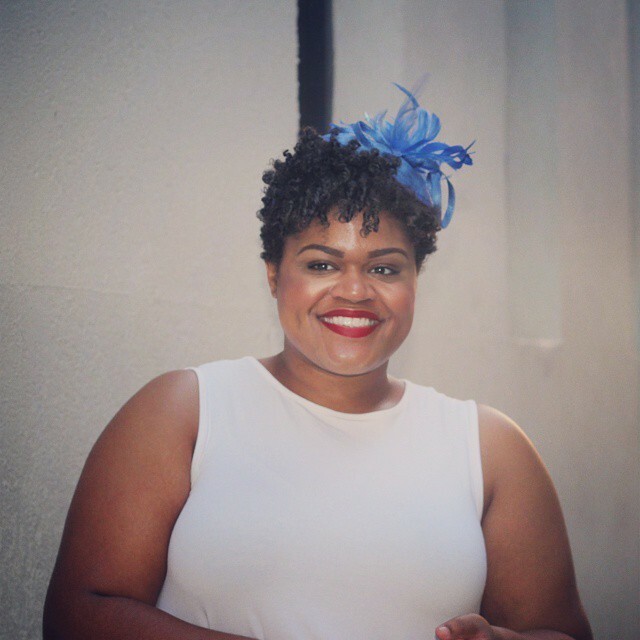 As I was thinking about this post, which was one of my most read natural hair posts since I've been blogging, I thought it would be awesome to highlight a few of the joys of short natural hair. 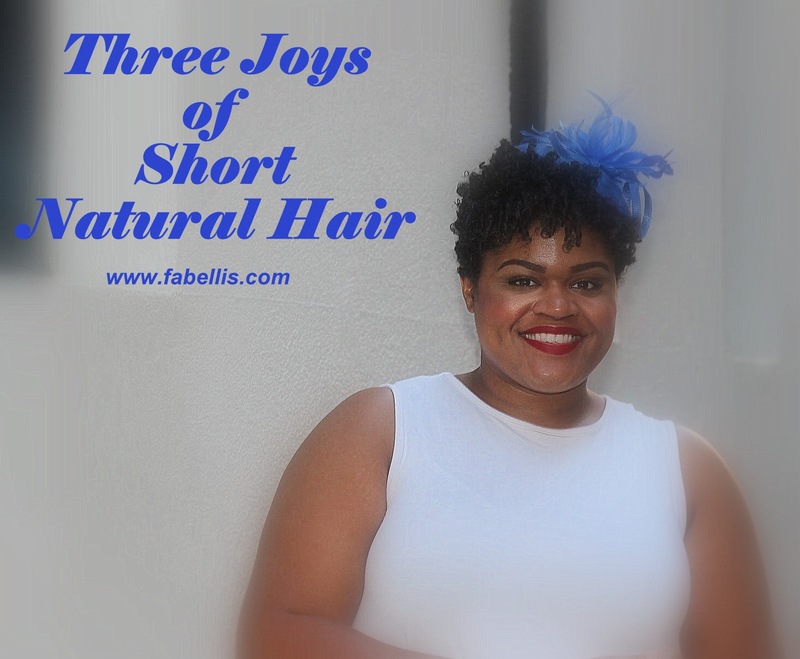 Every part of the natural hair journey has some good and and not so good moments, but whether you prefer shorter hair or are growing out your hair, I want you to know that there are some joyful parts of short natural hair. When it comes to natural hair, I know so many of us go through conditioner and deep conditioner like nobody's business! With short hair, you use less products all around making your products last longer and saving you money. The most hilarious part of the entire styling process with natural hair is that oftentimes it can take FOREVER to dry! No matter what length my hair is, I prefer to style my hair wet for maximum definition and style retention, but when it's longer, it can take a full day or more to dry. With shorter hair, the drying time can be cut down to as short as a few hours. Check out some natural hair inspiration on my Pinterest board. What length do you prefer for your hair? If you rock short hair, what do you love most about it? I love your hair and wear my natural hair very short and tapered and I get ready in 15 mins. I am a wash and go fanatic and use very little products. I prefer my hair short too. Natural hair takes a lot of work and I don't have the time to keep dealing with it. Hey Alex! I'm not sure that I would suggest protective styling with added hair such as braids if your hair may be fragile. I didn't find these to be tough on my edges, but every stylist is different. 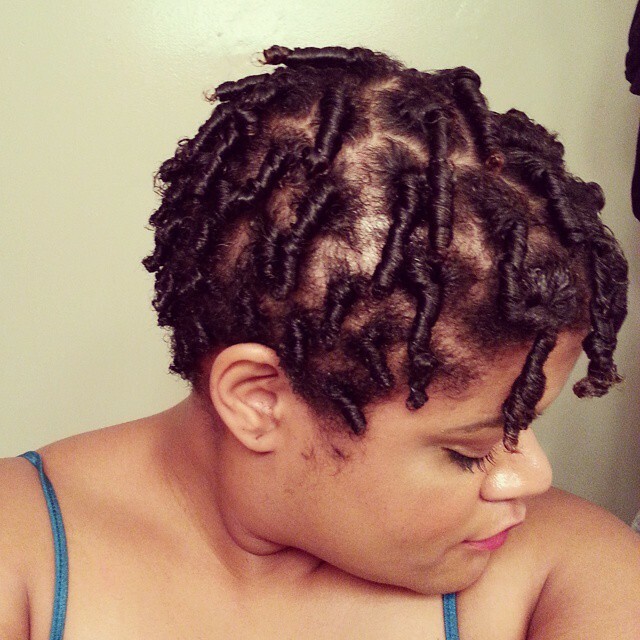 If you were to get these, I would recommend the stylist twist the hair from the root rather than braiding first. Braiding the root helps it last longer, but it also causes more tension. You can also do protective styling without extensions. I used to wear two strand twists for a few weeks. Also, if your hair is longer, you can do two strand twists and set them on flexi rods or perm rods for a curly look. Either way, I would consult a hair care professional first. Hope this helps! You hairstyle is so lovely! Love all those bouncy curls! I am NOT into hats or accessories for myself but I can appreciate cuteness. You my dear, worked that hat and the shoes are fab. You are just too cute with that fascinator! Love the vintage feel of this outfit. Thanks for linking up! Thank you! I've never been into wash and gos much, but I just watched a YouTube video that makes me want to give them a try with a tapered cut. Do you finger detangle your hair? Lol! I know that's right. I don't see how people with longer hair do it sometimes. More power to them! See, I know you appreciate a good hat then! Thank you Andrea! Hi Louida I have been following you for a little time and I am proud to have done so. Let me say Ladies I have medium length hair and YES I am always working on it. Help, I love curly hair but God has something out there to help I know. It takes about 30 minutes to get it looking right. Love this post!!! I need to remember this and enjoy my TWA phase before I have more length.